This chart was made by The Queen of Green. Ms. Coulter is actually my name-twin in more than just first name: I am also the Queen of Green! Well, actually, I went by “Green Queen” when I spearheaded the Green Team at St. George’s High School where I was teaching (in my pre-Maman Loup days). 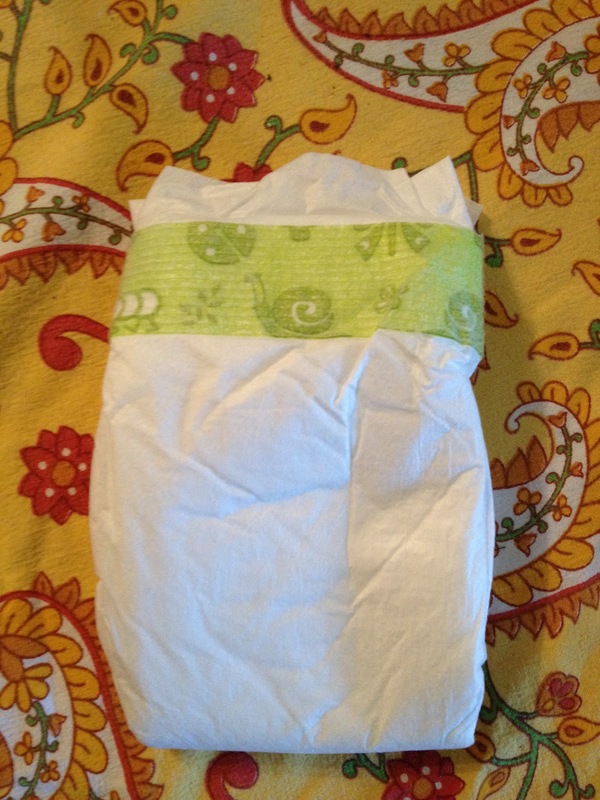 Back in November, 2012, with my Cub only a few months old, I tackled the question of “eco”-disposable diapering on my blog’s first iteration. For me, choosing a disposable diaper is like voting in the Quebec election this year : you have to choose the best of the worst, the lesser of a few evils. Funnily (or sadly) enough, voting in the municipal election in 2013 proved to be a similar conundrum. But while politics remain the same since my first review, luckily, I’ve got a better (though far from perfect) recommendation in 2014 when it comes to the best of the worst in environmentally-friendly disposable diapering. Don’t get me wrong: CLOTH IS THE BEST! When I first posted, I still used some disposables for outings and overnight. I think the last time Cub wore a fully disposable diaper was in March 2013 when we were in Mexico. I’ve really perfected my cloth system and don’t even have an emergency stash of ‘sposies! But for lots of you out there, you’re still looking for a way to be a Green Queen without doing full-time cloth. I have some new suggestions for you…. 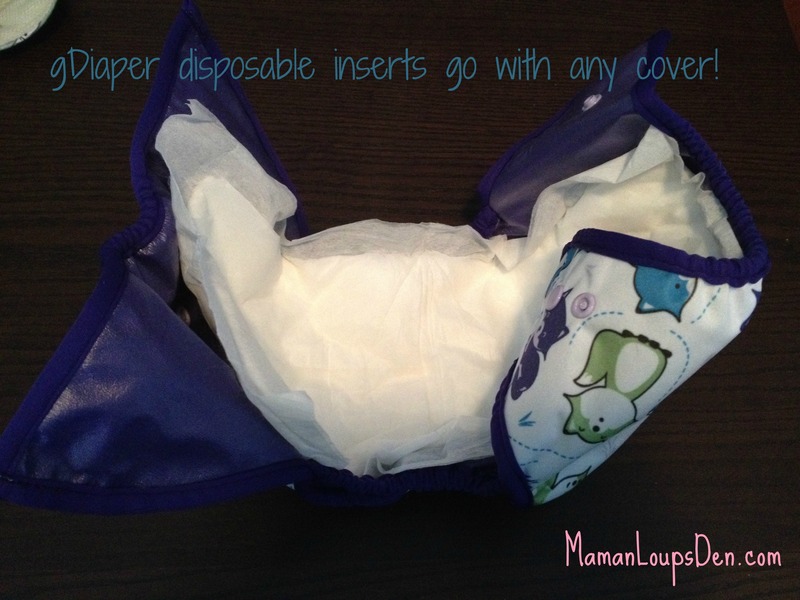 You do NOT need to be using the gDiaper system to use gDiaper disposable inserts. You can put them in any cover you feel like, though I would recommend one that you can easily rinse off so that reusing isn’t an issue. Cost: gDiaper inserts are about 50-60 cents each, and your best bet is to snag them on sale (usually 20% off) at Well.ca or in store (in BC, for example, London Drugs carries them). You can get a good deal on a 4-pack at Amazon if you really want to stock up! Why I love them: They are a great cloth/’sposie hybrid. You can have the cuteness and blow-out blocking efficacy of a cloth cover with the convenience of a disposable insert. Footprint: Because you use them with a reusable cover which provides the waterproof layer, gDiaper inserts don’t need any petroleum-based componets (plastic!) to keep away leaks. Like any disposable item, if you just put it in the garbage and it gets sent the the landfill in a plastic bag, it’s not going to biodegrade. But even if you are just tossing them, you have to still appreciate the eco-friendliness of the components, which are Cradle-to-Cradle certified. If you can, the most eco-friendly disposal option is the compost them! How cool is that? I’ve actually buried some on my father-in-law’s farm, and will be digging them up in the spring to see what’s become of them. Now, you can flush the inserts. You’re supposed to rip them, swish them in the bowl and flush them down. I have found the few times that I’ve flushed them that my toilet hasn’t been super happy about it. gDiaper inserts are made on our side of the Atlantic, in Ohio! Yay for North American manufacturing! Drawbacks: They aren’t cheap, so I use them very sparingly. Cost: Depending on the size, about .50 cents each. They go on sale at Well.ca from time to time, and are also available in Montreal at Rachel-Berry. In BC I’ve seen them at London Drugs. The 4-pack option at Amazon might be your cheapest bet if you need a lot! Why I love them: They are the softest disposable diaper I’ve ever touched. When you’re used to putting your baby in fluff, ‘sposies can see so rough and scratchy! Naty diapers are rub on your face (when clean!) soft. They are great fitting, very absorbent and last baby overnight (according to my sources!). A full Naty review can be found here. Footprint: Visit Naty’s homepage and you’ll just want to hug them. They are committed to sustainable practices and their nappies (I LOVE CALLING THEM THAT) are plastic free. The diapers are not marketed as being compostable, but I have buried some in the country to see how well they biodegrade! 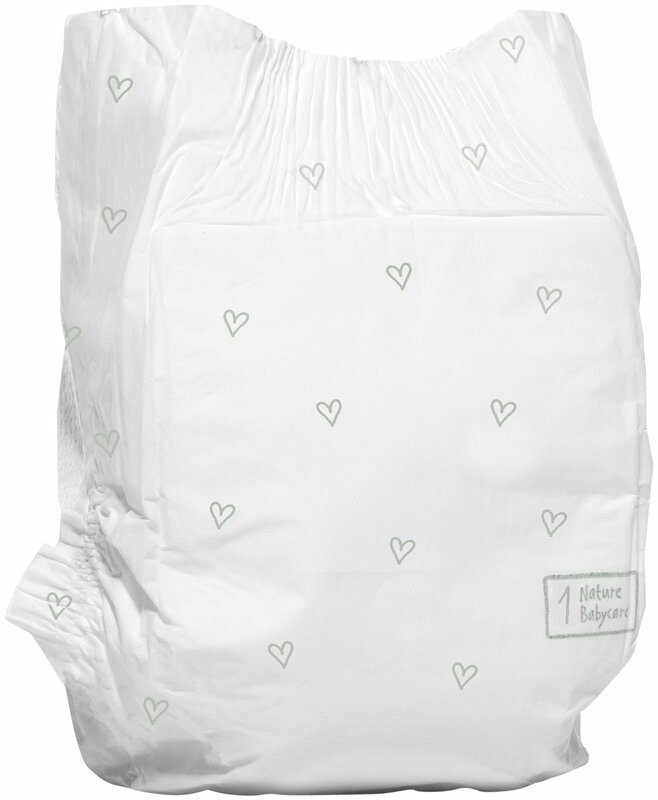 Naty tells us that they’ve eliminated “as much non-biodegradable materials as possible while maintaining performance and comfort.” They explain, however, in their FAQ that their diapers are not 100% biodegradable. Drawbacks: Also, not cheap! They are manufactured abroad, so the fact that they need to be shipped all the way to us does cut down on their eco-friendliness. They claim on their site “that there is no significant difference in the environmental impact between disposable and cotton nappies,” and I personally disagree. Why I love them: They are easily accessible since Loblaws is where I do most of my grocery shopping, and they are half the price of other “eco” brands. President’s Choice is a Canadian company. They are made of some renewable resources and they are perfume free. Honestly, they’re a compromise. It would be extremely expensive to diaper full-time with gDiapers or Naty, or most of the other “eco” brands. PC GREEN diapers are at least somewhat gentler on our earth and our babies than Pampers or Huggies. Footprint: We don’t know near as much about the components of these diapers as we do with gDiapers and Naty, whose websites are very thorough in explaining their “eco” claims. They are manufactured in Mexico. Tsk tsk! Dissing my precious fluff! 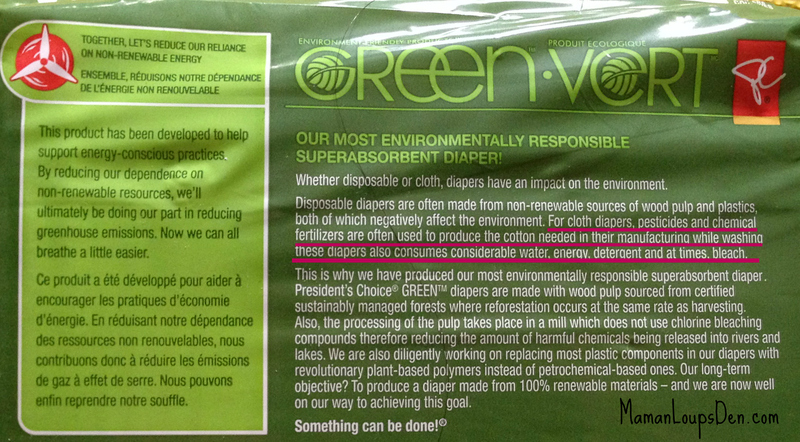 Drawbacks: Essentially, I wish I had more information about the “green”-ness of this diaper. They are definitely not claiming to be biodegradable. In my opinion, the “green”-ness of these diapers is more in their manufacture than in how they end their life cycle. I don’t like that they “diss” cloth diapers on the package. Green your [TEETH] Clean with New Products from RADIUS! Have you tried or looked into Grovias disposable inserts? I haven’t used them because they aren’t easily accessible to me. Since I can find G’s in store or at Well, I haven’t tries Grovia.